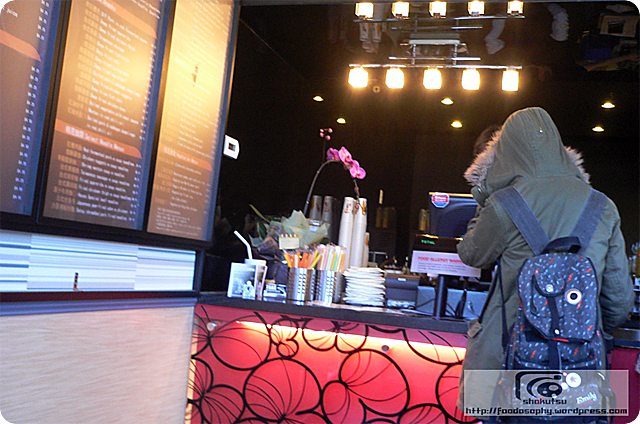 Tealips does have a slightly different premise compared to other bubble tea houses around town. For instance, the thing that struck me upon entering the doors was the more relaxed vibe and seating arrangement that sprawled out before my eyes. A lot more inviting as a result and the kind of place that makes you want to stick around. The crowd seemed to be dominated by younger couples or soloists who were clearly students cramming behind a heavy textbook or busy scanning the screen of their personal computer. Its been said many times, but there is something special about the big blue skies of summer in Alberta. On a recent visit to Edmonton, I had the pleasure of driving around a bit, seeing some rural and urban landscapes that reminded me of how great the scenery can be where there isn’t that abundance of grey clouds and gloomy rainy weather that dominates the west coast in June. I guess that has something to do with the large quantities of great produce and livestock product that comes out of this oil-rich province. 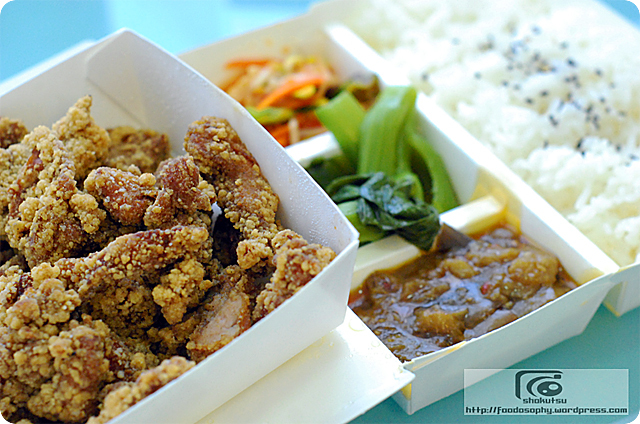 Good eats under sunny skies, what could be better! 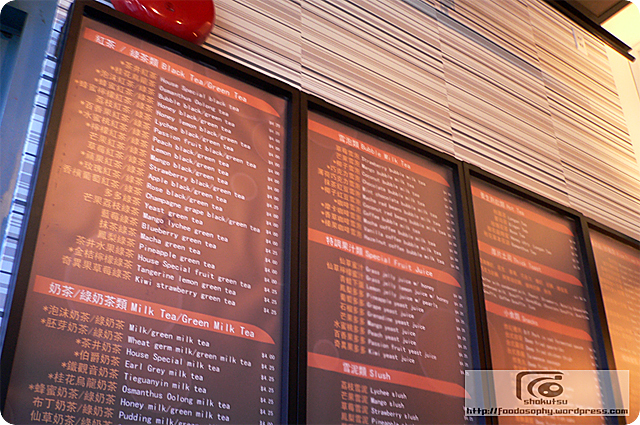 Scanning the drink board menu at most bubble tea places is an overwhelming experience, what with all of the flavors that are listed, including many that are not common ingredients that one usually sees elsewhere in an eating establishment and I am not talking just about bubble teas (e.g. 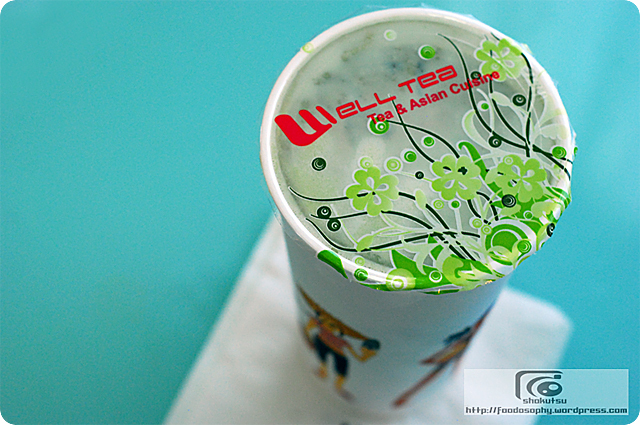 black grass jelly, anyone?). From the black tea-based originals, milk-based variations, and fresh fruit slush types, the choices can leave you pondering what to do. Order something you’ve had before and know you enjoy? Or take a chance with a new flavor or blend-style that might cause you to want to ditch it after one single sip? Oasis goes a step further and throws another wrench into the works with their inclusion of ice cream blended bubble teas on the menu – which for me was a new range to see in a bubble tea shop (I later saw their sandwich board outside that boldly proclaimed they have “the best ice cream bubble tea in town”). I figured I’d take the plunge. As you may recall from my previous posts, when it comes to ice cream as a dessert, it doesn’t take much to twist my arm. At $4.25 for the base drink and an extra fifty cents for the added pearls, it came in a good sized cup complete with that ubiquitous plastic seal on top. If anyone can tell me how they put these on (is there a special sealing device they use? ), I’d be happy to know. Turns out, the ice cream bubble tea is as creamy as a milkshake, so no big surprises on the texture and temperature front. 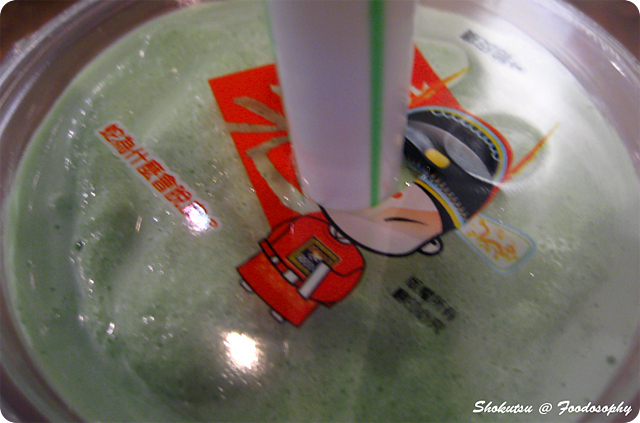 The green tea flavor was a perfect sweetness, I was afraid that is would be overwhelmingly sugary, knowing that sweetness is added to bubble teas on top of what comes out naturally from the usual ingredients (such as fruit). I was torn on the inclusion of the pearls with my drink. Mixed in with the thicker-than-usual liquid that was the ice cream blend, I felt they got lost in the shuffle and were completely enveloped into the mix rather than standing out on their own as they are in a straight tea bubble tea. As a result, I am not sure if it was the preparation of the pearls, but they did seem to be a touch on the soft side, but thankfully with none of that chalkiness that sometimes does happen with them that I really dislike. If you can put up with the tacky Polynesian-themed interior decor, which also stretches outside with some fake palm trees attached to the outer wall and that hover next to a circular glass cutout that serves as the main window into the restaurant (as well as some photographs of food items encased in two vertical frames just outside the front door), Oasis can almost be just that and live up to their name, on a non-busy day. 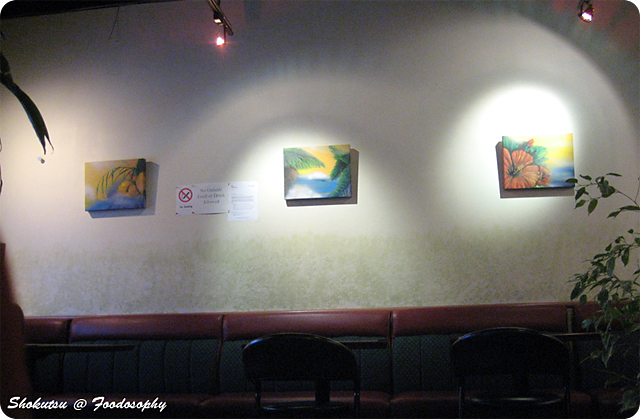 With four booths lined along one wall, and some tables and chairs in the other section, if you can get a seat, it felt much less cramped than say a coffee cafe would, enabling you to sit and chat for a longer period of time comfortably. 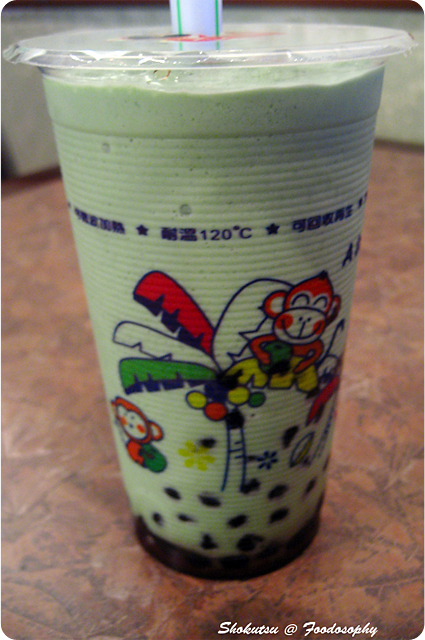 Bubble Tea, everyone’s favorite summertime drink, originated in Taiwan. 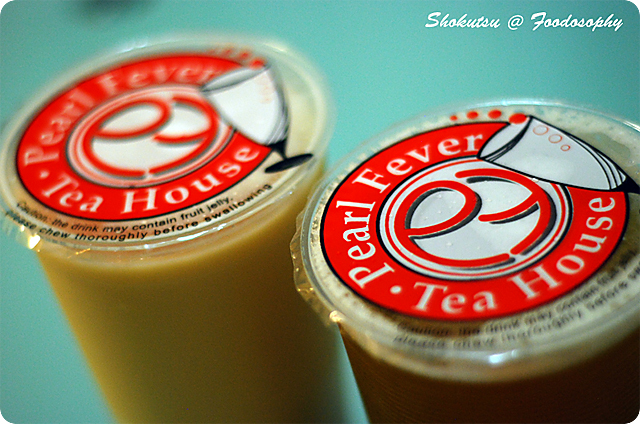 The OG version was a basic black tea, condensed milk, honey, and tapioca balls. 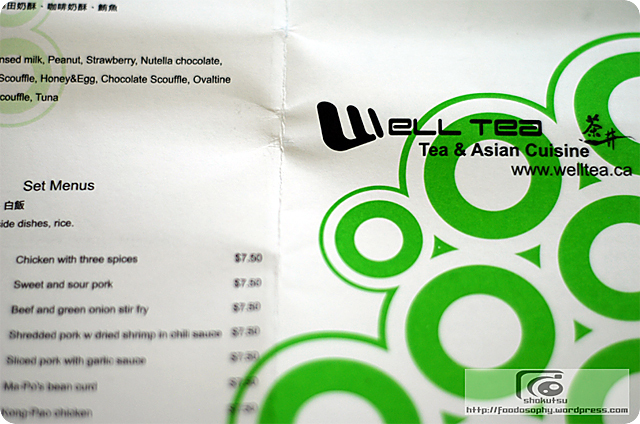 While many people swear by the original version only, there are now an infinite number of variations other than milk tea, including fruit tea, fruit milk, fruit juice, and fruit slush. 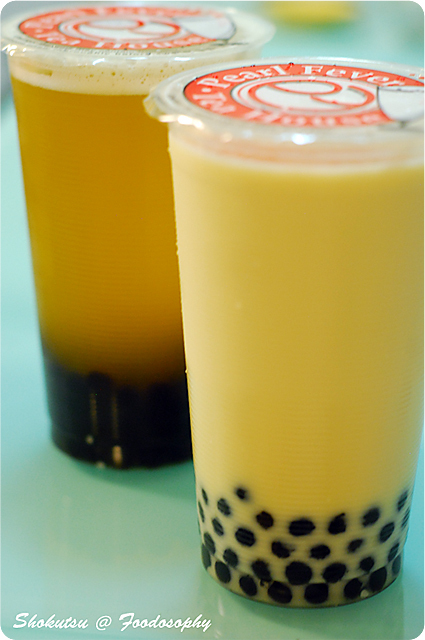 For me, the key to any good bubble tea lies in good bubbles. They must’ve been boiled long enough to get rid of any chalky texture. And not been sitting too long to be “too soft”. 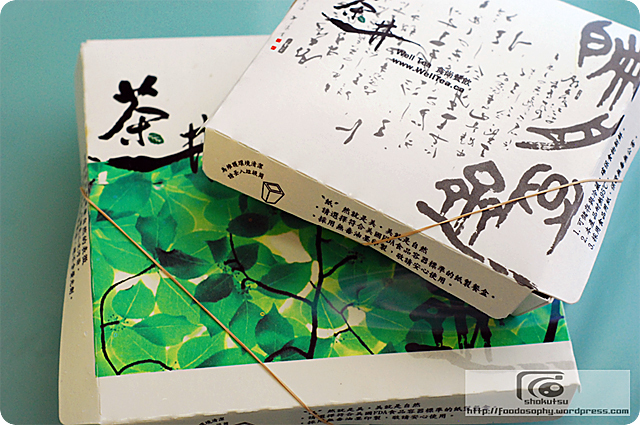 The Taiwanese have a term for this correct texture – “qiu qiu”. Don’t get me wrong. The flavour obviously matters as well, but it’s secondary. 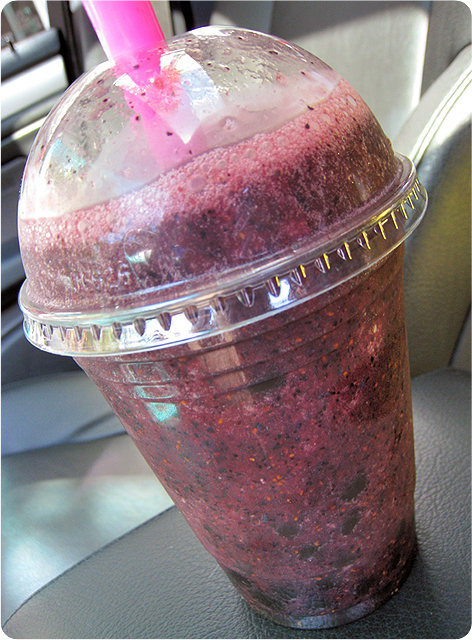 The freshness of the fruit matters the most (after texture), but in most slushes and juices, the sweetness is often adjusted by the inclusion of simple syrup, making it a bit less important. With powder drinks, it matters less, as it’s all a matter of shop preference for how much powder is included. 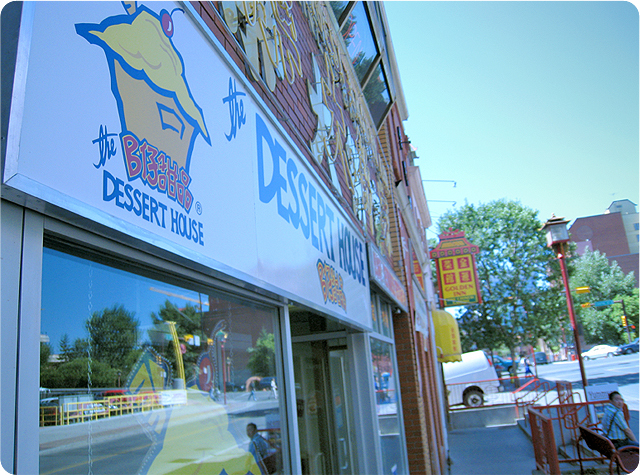 In Calgary, my favorite place for bubble tea is The Dessert House (B-Tsai Desserts). Due to high volume and years of experience, they have the most consistent bubbles, and freshest fruit juice. They recently moved locations from their smaller, cramped location, to a cavernous location across the street. Their hours have stayed the same, but the prices have gone up. Definitely the most expensive bubble tea i’ve ever had, but as an occasional treat, it’s worth it. The best of the fresh fruit is the seasonal fruit specials. For example, currently it’s all berries – blueberry, raspberry, blackberry. You can mix flavours for 50 cents more. To be honest, i’d take Dragonball in Vancouver any day, especially at the price. The prices themselves are a bit ridiculous – while i understand inflation, $8 for a large seasonal fresh fruit with bubbles is a bit extreme. 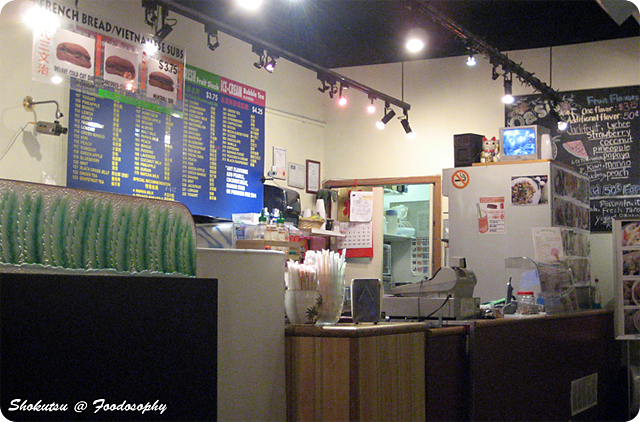 The Dessert House does have other items – a lot of Hong Kong style snacks (think tapas style), ices, and jellies. But for me, they are all about the Bubble Tea, if you can afford it. Order the seasonal fruit. And take a seat, as it’s so busy, it’ll take a while. But to get your vitamins in a tasty form, it is well worth it.